I have spent a lot of time looking for asymmetrical crochet patterns online and I have a pretty good library now of possibilities. 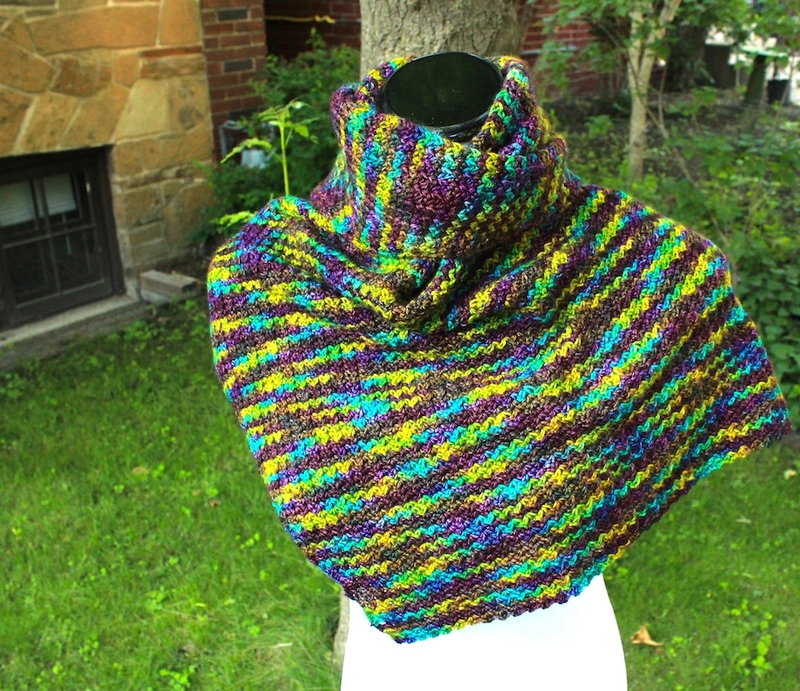 Not sure why but such shapes are more pleasing to my eye than the typical triangular shawls…as much as I like making those! 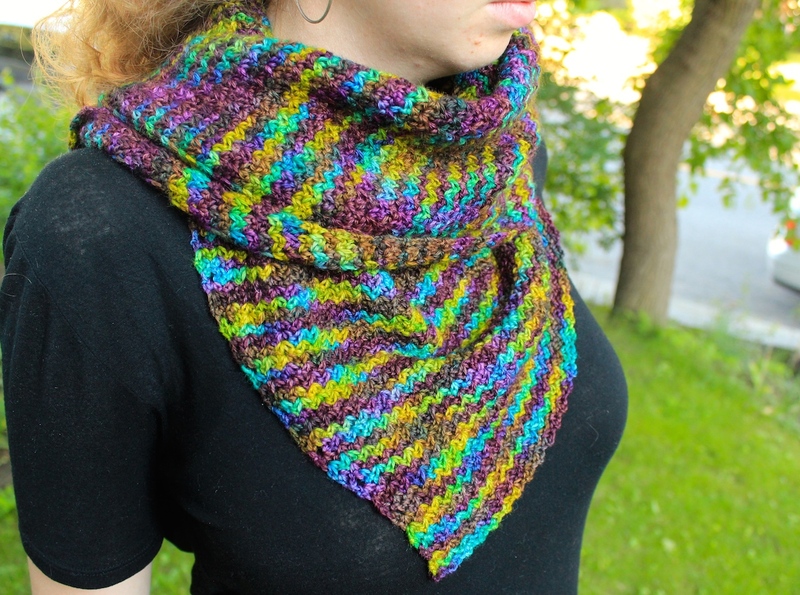 Most recently, I have also learned that asymmetry affects the resulting variegation from dyed yarn…unexpected, but makes sense. A few weeks ago, I was on the hunt for a new pattern. I wanted something easy and brainless. A pattern I could memorize and work on in the car, while travelling, or while relaxing and watching the last season of House. This one fit the bill! So easy to make! 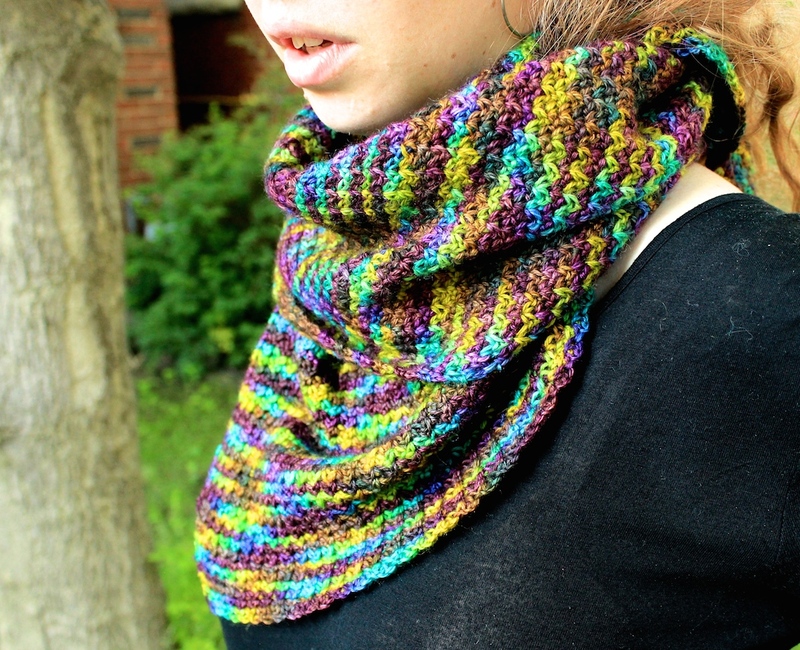 A simple sc/ch/ch/sc repetition that created a gorgeous and dense (almost knit-like) fabric. 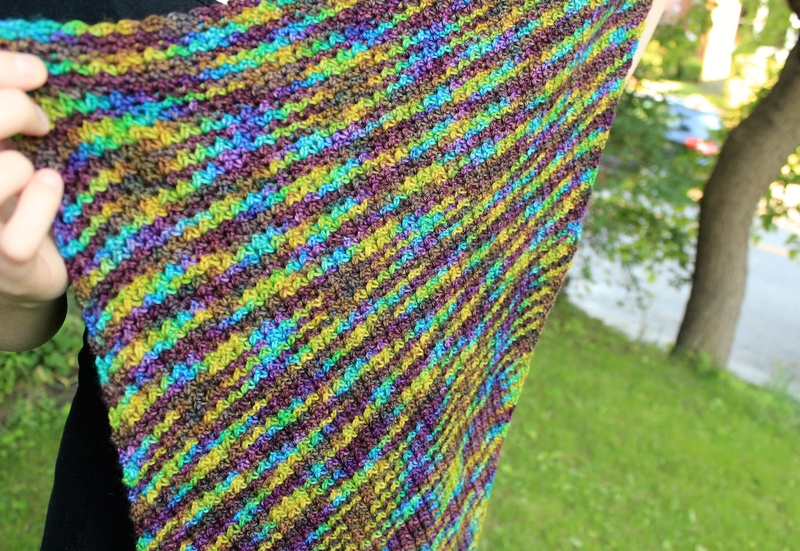 I used a sock yarn, Blue Faced Leicester and nylon blend, which I chose due to the gorgeous popping colours! 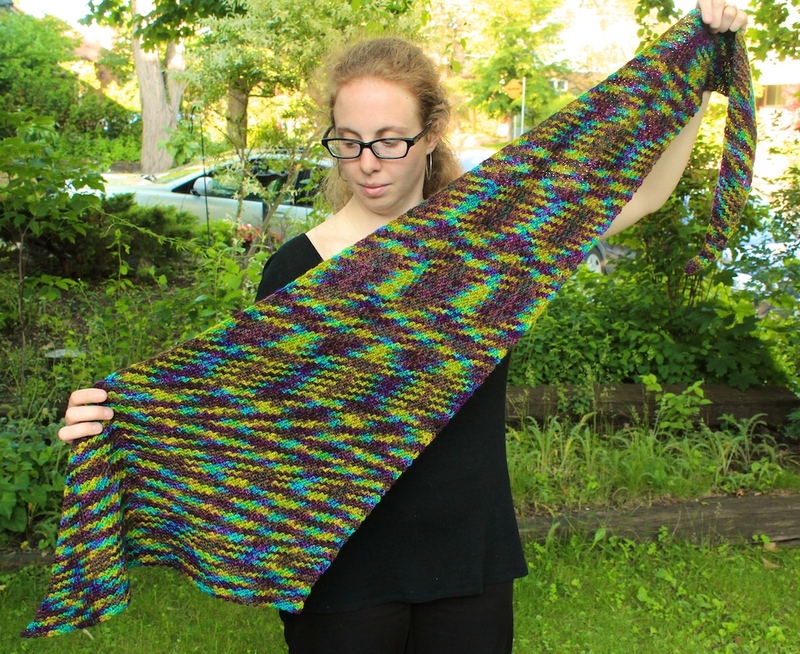 What I didn’t realize was that the variegation would slowly change due to the increasing width of the body of the scarf. You can see the change in the above picture. The initial tail (top of pic) has some very short, repetitious strips of colour. They start to fan out slightly until they culminate in three large spots in the middle. From there, the variegation thins out even more and takes on a more edgy, jagged striping pattern. Worth noting for future projects….asymmetry will affect the variegated results. Overall, I continue to quite like the result. It’s chic and classy! Next postKnitting Tour in Iceland – Hats, Scarves & Wool! Oh my!